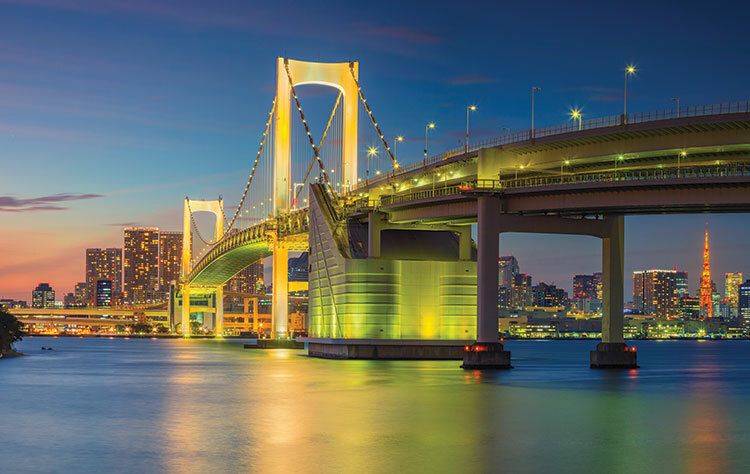 While much of the talk around Japanese IRs has up to this point focused primarily on problem gambling concerns, one aspect that is starting to gain traction is the opportunity IRs present to grow the country’s Meetings, Incentives, Conferences and Exhibitions (MICE) industry. MICE facilities are located throughout the world and the average annual growth rate of the MICE industry (2017-2023) has been estimated at 7.5%. The market, at US$752 billion in 2016, is predicted to grow to US$1.25 trillion by 2023. The construction of large event halls has continued apace each year and the number of halls with a floor space of 100,000 square meters or more now stands at 72 globally (as of March 2019). Unfortunately, no site in Japan is included on this list with the largest being Tokyo Big Sight at 95,000 square meters (although an additional 20,000 square meters will become available with the opening of the South Exhibition Hall in July this year). The government has therefore decided a MICE facility is a requirement for the development of a Japanese IR. Moreover, the scale standard is strategic. Regulations call for a massive international hall with a capacity of 6,000 people or more. Currently, the largest in Japan are the Tokyo International Forum and Pacifico Yokohama, each with capacity for 5,000 people. Further, a very large scale exhibition hall must be 120,000 square meters or greater, beating Tokyo’s Big Sight by a large margin. The MICE facilities at Japan’s IRs will need to be on a massive scale – far bigger than anything the country has seen before. Naturally, it will be expected to compete globally, heralding a new era for MICE in the country. At a study session hosted by the Japanese IR Association in Tokyo in March, local government and congressional representatives interested in attracting an IR heard expert observations on what Japan’s MICE industry needs to compete with other leading nations. 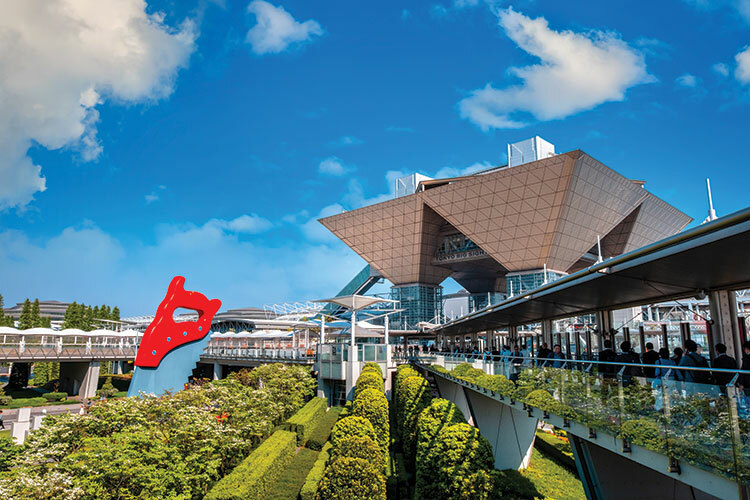 “Japan should start with its three IR locations – the big cities and the regions – and in the long term, these will provide a good test,” explained Niall Murray, founder of Murray International, on the topic of expanding the nation’s event facilities. The Chief Sales Officer of US-based IR operator Caesars Entertainment, Mike Massari, explained that a “paradigm shift” will need to occur in Japan’s hospitality industry all centered around embracing MICE. “First of all, hotels in the vicinity – there should be around three hotels with 3,000 rooms each providing easy access for MICE visitors,” he said. Currently only Tokyo’s Shinagawa Prince Hotel boasts more than 3,000 rooms nation-wide. Adding to Massari’s call for many more hotel rooms, Caesars Vice President Meeting Operations for the Atlantic City Region, Steve van der Molen, highlighted, “This is how many people MICE will bring in. It is, therefore, essential to build an ecosystem in advance. This ecosystem, van der Molen said, was realized via strong cooperation between the government and local authorities. Caesars Forum will feature a unique 100,000 square meter outdoor meeting space called Caesars Forum Plaza. Caesars Forum will offer 51,000 square meters of meeting space and two of the world’s largest event halls at 100,000 square meters. It utilizes state-of-the-art technology to control partitions so the large spaces can be arranged into various smaller meetings rooms, with over 1,000 possible layouts. It also happens to be within a short walking distance of the Las Vegas Strip. Likewise, Japan’s IR MICE facilities can exploit late-entry advantage, implementing cutting-edge technology while also benefiting from the lessons learned from previous MICE facilities. There are great expectations that Japan’s MICE will break the mold and set a new international standard. 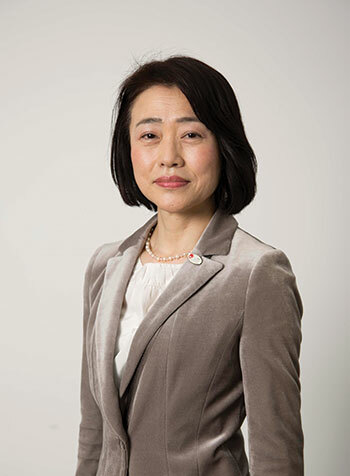 IAG spoke with the Japan National Tourism Organization’s (JNTO) Etsuko Kawasaki, Executive Director, Japan Convention Bureau, about what Japan’s long-term MICE industry should look like. IAG: Thank you for speaking to us. Could you start by giving us your definition of MICE? Etsuko Kawasaki: MICE is an acronym. It represents corporate meetings (Meetings), incentive and training trips for those corporations (Incentives), international conventions such as international company or group conferences (Conventions) and events (Exhibitions/Events). The four categories are entirely different, but they have a lot in common in that companies and groups seek them out as a destination. Therefore, these business events are collectively called MICE. IAG: What is the current state of the global MICE market when compared to Japan? EK: If we only consider international conferences then there were 414 held in Japan in 2017. That puts Japan seventh in the world and first in Asia. However, in the Asian region other countries such as South Korea and China are fast catching up. In the 1990s, Japan had 50% market share in Asia, but today it is closer to 30%. IAG: So competition is getting more fierce? IAG: What is the main selling point for Japan if we want to compete? EK: Japan’s MICE has four strengths. The first is its unique culture and hospitality. Many foreigners feel that special warm welcome that Japan has. The second is the sense of security. The safety and cleanliness of Japan are appealing. The third is the intellectual property in Japan such as world-leading knowledge and talent. The fourth is the high quality of service provided by Japanese staff – for example, the accuracy of Japan’s transportation infrastructure. Things running on schedule is very important when coordinating a MICE event. IAG: I have heard that Japan’s local cities have opened distinctive MICE facilities. EK: These are called “unique venues.” For example, in Yamagata they have a MICE with sake and hot springs. Kyoto’s Nijo Castle holds banquets in the gardens for conferences. In May of last year, the approach to Miyazaki Shrine was opened to host an academic conference reception party with 1,000 visitors. 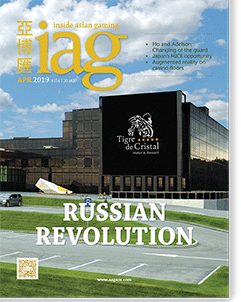 IAG: It’s a place where people from overseas can get a taste of the extraordinary, much like why people go to casinos. EK: I agree. Even conference participants need downtime. If you can relax in a place with a feeling of openness, you will be able to deepen your relationships with those around you. IAG: So what is an ideal MICE facility? EK: It needs to feel like it is really Japanese. If it is a regional city, you have culture and aspects unique to the area. MICE resorts overseas have everything in one place, including entertainment. That’s convenient and the MICE facility becomes a hub. People who gather there will go for dinner at night and that’s when they will come in contact with the local community. They’ll get a feel for the area’s history. In Japan, I think that would work. 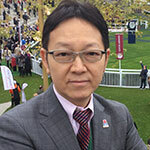 After completing both undergraduate and graduate studies at the University of Tokyo’s Faculty of Agriculture, majoring in veterinary medicine, Katayama spent 28 years as the horse racing specialist for the evening Nikkan Gendai. For the second half of that stint he has served as Predictions Managing Editor and Editor-in-Chief. He now develops the weekend horse racing predictions for Yuukan Fuji. He has 29 years’ experience in the casino industry and plays a mean game of blackjack, not to mention the occasional game of poker.